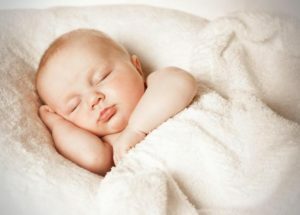 Physio Myth Buster: How to Sleep Well? Sleep is a big part of life, we spend around a third of our time sleeping! For some even more… So, it’s worthwhile to wonder: How to sleep correctly? Let’s review myths about Sleep & Back Pain and what is true or not! It’s a sentence I often hear in my practice and even if in some case it can be true (person slept sitting up, in a car, or constricted space, new bed…), most of the time their pain is not related to their sleep. The cause originating commonly in what they did the days before. 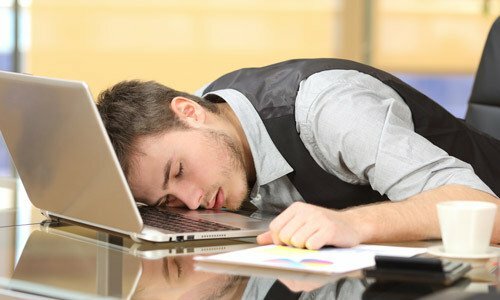 However, John may have overlooked the fact he spent 12h a day in front of his computer, his boss put him in charge of a new project creating stress and preventing him to do any sport for the past 2 months. Although, these elements didn’t trigger pain directly, their addition and accumulation lead to a break up in John’s body which wasn’t able to recover completely at night and lead to muscle spasms the following morning. A bit like when you over train and you have muscle soreness the following days. With this example, I am trying to highlight how for most of my patients, it’s rarely one element that trigger their symptoms but more an accumulation of parameters over time and how the “sleeping funny” explanation is often an easy answer to a more complex situation. Interestingly, the “sleeping funny” explanation is mainly used to explain neck pain. I never had a patient coming with a leg pain and telling me: “I have an ankle pain, it’s probably due to my bad mattress”. This may arise from a difficulty to realise when we over use our neck/upper back as we use them all the time (neck muscles are working constantly as soon as we stand up!). While it’s way easier to notice when we over use our legs! 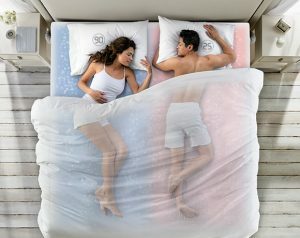 It can be surprising as there are so many advises on internet and magazines about what is the best sleeping position, but actually there is no research supporting the idea of a “better” sleeping position. Nowadays we want to optimize every part of our life and make everything more efficient. However, we often forget that each person is different. It applies to sleep position. 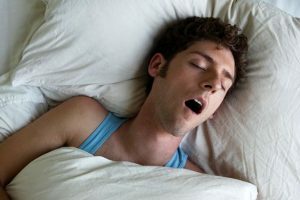 People sleep differently, probably just due to habits gained through time, but the consequence is “the best” sleeping position for me may not be the one for you! This “Best”, “correct” or “good” position to sleep come from the idea that if your spine is not “straight” or have the “normal” curves it will lead to back/neck pain. The exact same myth exists for the sitting posture, I’ll speak more in depth about it in a future Physio Myth Buster post about How To sit correctly? Although, there is no evidence to support a link between sitting and lower back pain, at least the reasoning can make sense: “if you don’t sit correctly, you won’t spread the weight evenly on your spine/muscles causing back pain”. However, when we sleep there is no weight to spread on our spine or on our spinal muscles. In fact, our discs expend at night as there is less pressure put on them… Consequently, the idea you should keep your spine in a certain position when you sleep is really a myth and suggesting sleeping on your front is “bad” on this basis is unfounded. So, in regard of the sparse research on the topic, it’s really a bold statement. Always be sceptical with medical assertion used in marketing, as the principal motivation is the need to sell and not the pursuit of a greater knowledge to improve our life (also apply for a lot of new physio products…). Generally, these kind of assertion are supported by one or 2 weak publications or even none and simply based on Myths! 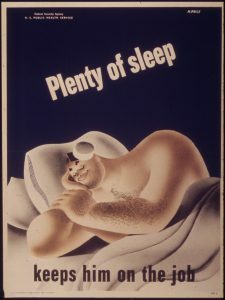 Sleep is essential for your health and well being. But sleep is rarely the cause of pain. It’s often worthwhile to look at the general picture (way of life, recent new activities, etc…). There isn’t a general rule that apply to all of us. The best sleeping position for you is probably the one you take naturally. For the best mattress, it can be worthwhile to try different ones (hard, soft…). I hope you found this post interesting and learn a bit with it! Don’t hesitate to ask your question in the comment or to disagree with me! And for people who suffer from back pain don’t hesitate to have a look at our YouTube Channel, where I present exercises and a 5min training I used against back pain!